Carving the perfect line through glistening snow under a blue bird sky while sneaking peeks of the pristine alpine lake. Could be a dream or just another day on the mountain at the legendary Squaw Valley Ski Resort in Lake Tahoe. 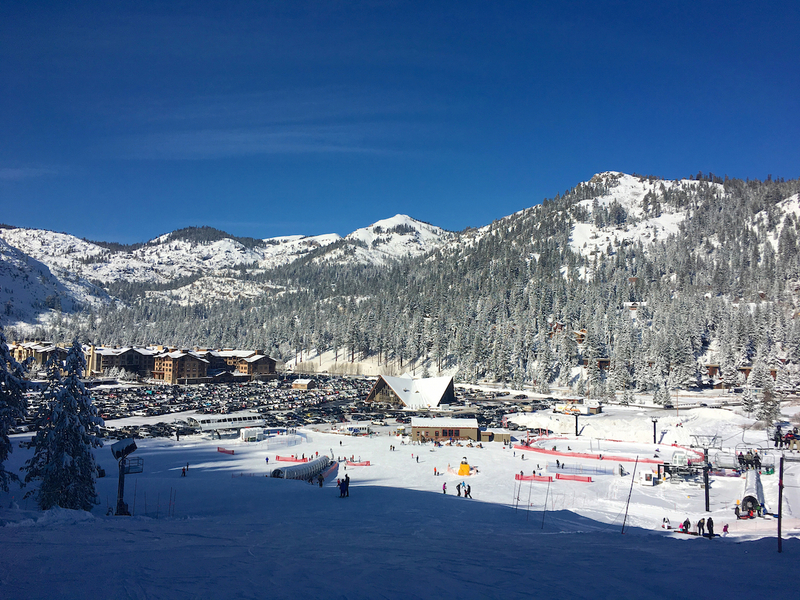 An iconic resort since hosting the 1960 Winter Olympics, Squaw Valley tops lists worldwide and recently named USA Today’s #1 North American ski resort. Don’t let the Olympic history intimidate you. The National Parks Traveling Mom of three found a huge area packed with lots of family-friendly green runs, perfect for kids. 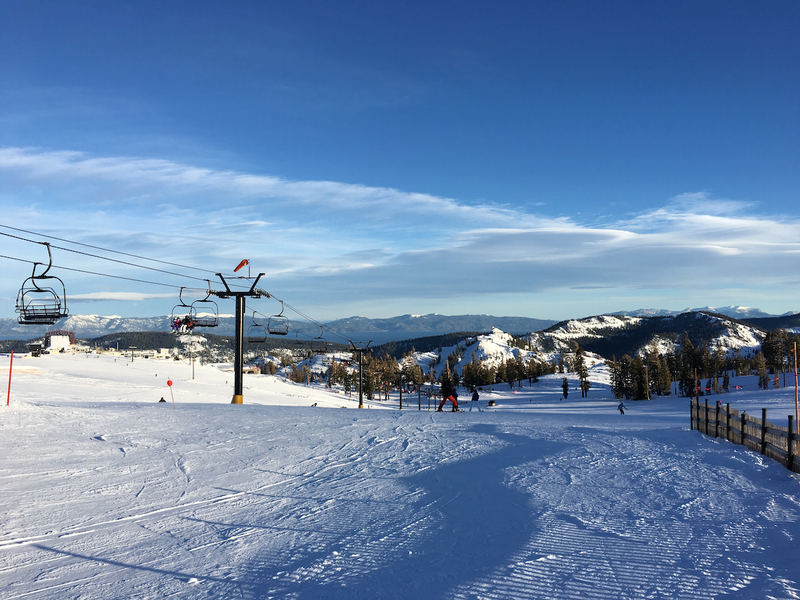 For families looking to ski or ride big, Squaw Valley Ski Resort offers the best ski resort in North America according to USA Today’s 10Best list. 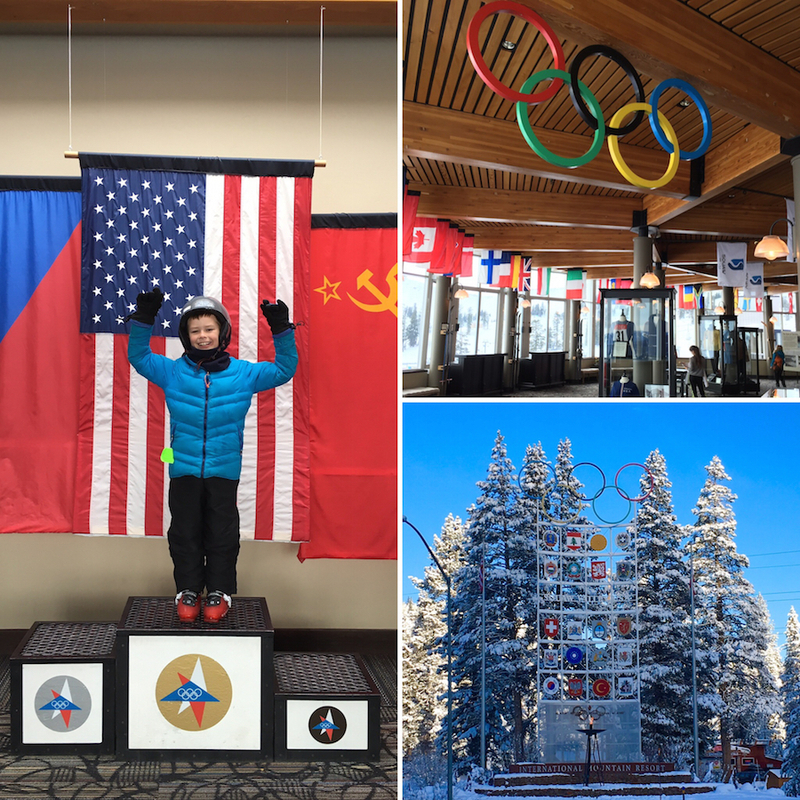 After years of lessons and scooting down the bunny hills, I introduced my kids, 9, 12 and 14-years-old, to Squaw Valley for an epic weekend where we ran the mountain like Olympians. Then I wondered why we had waited so long. The skiing can’t be beat. Epic! The Village at Squaw Valley offers restaurants, shopping, and activities. More green runs in the SnoVentures area. More discounts for families, especially a beginner lift ticket option for kids skiing in the SnoVentures area only. Ice skating in The Village. Base Elevation: 6,200 ft. Summit Elevation: 9,050 ft. Skiing with three kids, ages 9, 12 and 14, can be a challenge at a large resort. Keeping the kids corralled requires a mom with wings not skis. And I will admit I shied away from the larger ski resorts before this season. Simply too many moving parts with my kids at a large resort. After conquering the mountain at Squaw Valley, I can report for my family, it was the best day on the snow during our Lake Tahoe ski getaway. During my two-day visit, we spent our first day on the snow getting our ski legs underneath us again at the SnoVentures area with a couple of green runs. Located next to the Squaw Kids Ski School, the SnoVentures area offers the ideal location for a families with kids at different ability levels. I checked out my kids and reassured myself that they knew how to stop and turn before we headed for the mountaintop runs. The SnoVentures area features a separate lodge with some indoor seating along with a microwave and hot water spigot. I found picnic tables outside for breaks and a couple of food vendors were steps away so I didn’t have to hike back to the Village. This area also offers mini snowmobiles, snow tubing, and cross country ski trails as well. On our second day, we headed up the mountain via the aerial tram. The tram ride up the mountain included a sway that might frighten some younger kids. although my 9-year-old was fine. High Camp offers sweeping views of Squaw Valley along with peeks of Lake Tahoe beyond. The High Camp Lodge features the Olympic Museum, an ice-skating rink, a seasonal pool and hot tub (spring through summer) and several options for lunch or dinner. With 13 different green runs and seven different terrain areas, my kids could have spent a week in the High Camp to Gold Coast area. All three of my kids loved the mountaintop skiing and snow boarding. At 8,200 feet, the winds can be an issue at High Camp, especially on the lifts. I suggest goggles for all, even on sunny days. I could see smaller kids having possible issues with the wind. 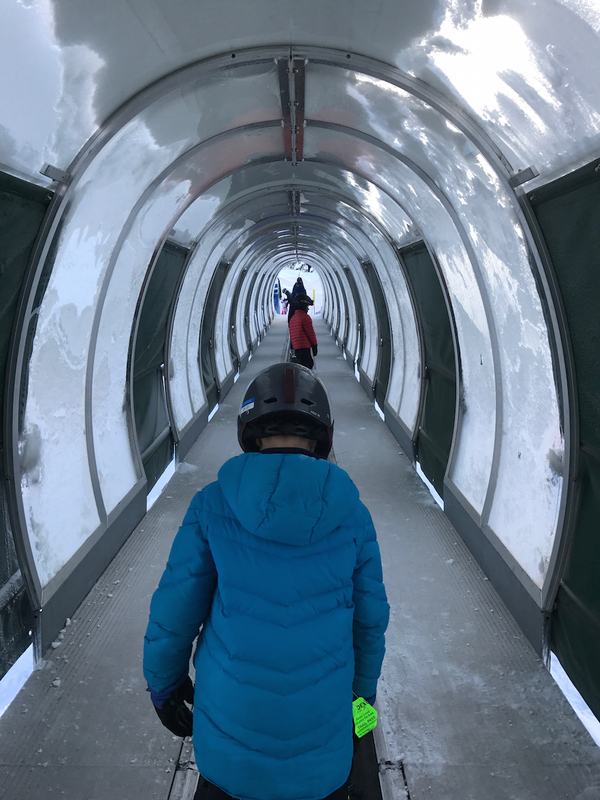 During our trip, my kids explored lots of the green runs using the Bailey’s Beach, Mountain Meadow and the Belmont lifts. I found the skiing open and uncrowded even during the busiest week of the year. During our visit, we used the Squaw Valley app that features real-time information. I knew where my teen was skiing even with spotty data coverage. I’ve got two boys, 9 and 12-years-old, so I’ve learned about terrain parks over the last few seasons. They’re not as crazy as I originally thought. I admit, when my daredevil son told me he wanted to check out a terrain park a couple of years ago, I envisioned something I’d seen on the Olympics. Don’t worry, think of terrain parks like snow playgrounds. At Squaw Valley, my kids started at the terrain features near High Camp. Then they moved on to the terrain parks near the Belmont Lift. And stayed the majority of the day trying to catch air. As a Mom, be sure and check out the terrain park signs to see if your kids are in the right playground. Most resorts install several terrain parks with differing levels of difficulty. Take it easy, start small, and keep an eye out for the more advanced teens. A Night Skiing lift ticket can be purchased for $49 (ages 5+) and is valid from 3 p.m. to 7 p.m. The aerial tram transports skiers and snowboarders to High Camp. Night Skiing is available daily the week between Christmas and New Years, and Saturdays only through March. 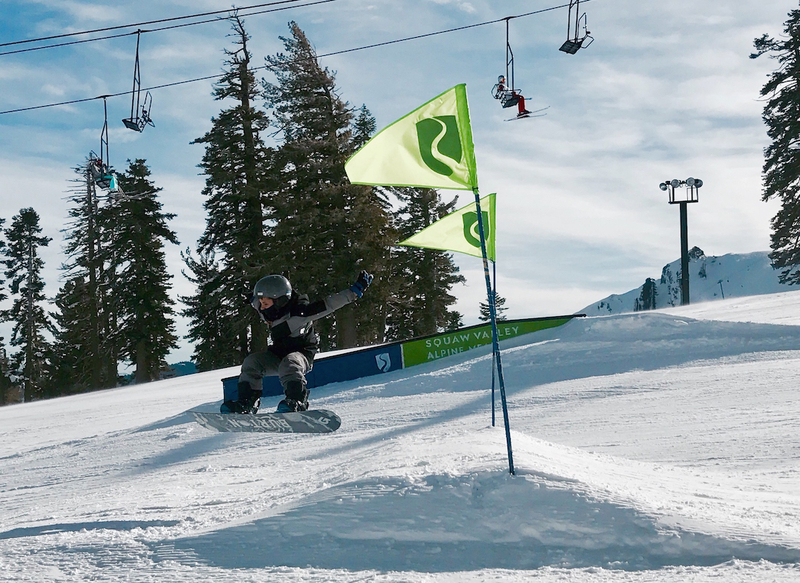 Squaw Kids, the Squaw Valley Ski and Snowboard school offers programs divided by age. All lessons begin at a separate facility, located between SnoVentures and the Village. For the youngest skiers, ages 3 to 4 (potty-trained kids only), the Pioneers program focuses on fun with first time, full-day or half-day programs. The littlest skiers will be on the snow and in lessons for several hours and a nap time isn’t included. For the 5 to 7-year-olds, kids can choose from skiing or snowboarding. 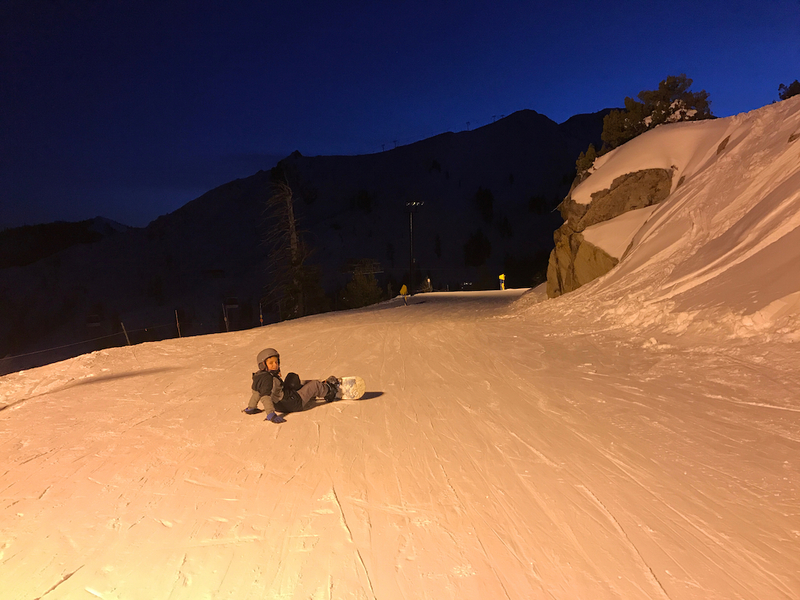 The Explorers Ski and Grommets Snowboard Program is for more active kids and broken down by ability–green, blue or black-level runs. A lunch break is included for full-day students. Kids 8 to 13-years-old explore the mountain trying lots of runs alongside similarly-skilled kids. 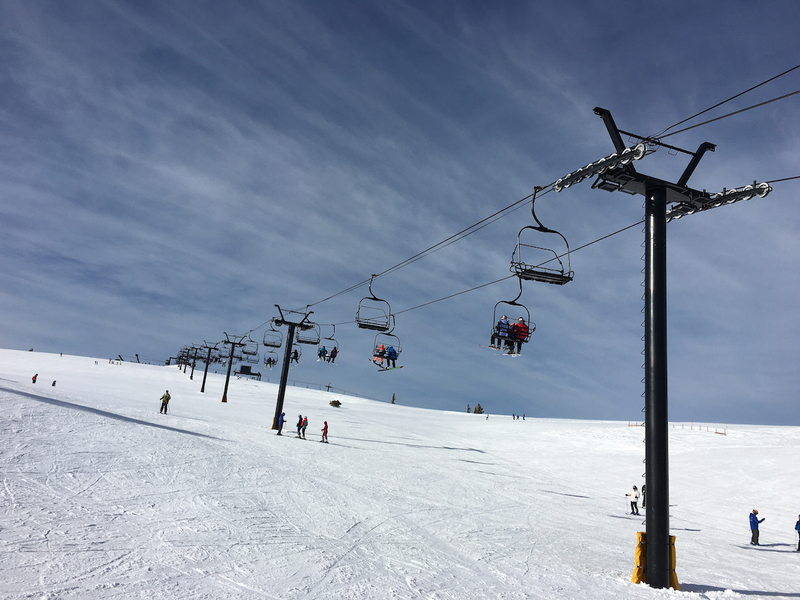 The Mountaineers Ski and Jibbers Snowboard students will be on the snow the majority of the day, and includes a lunch break for full-day students. 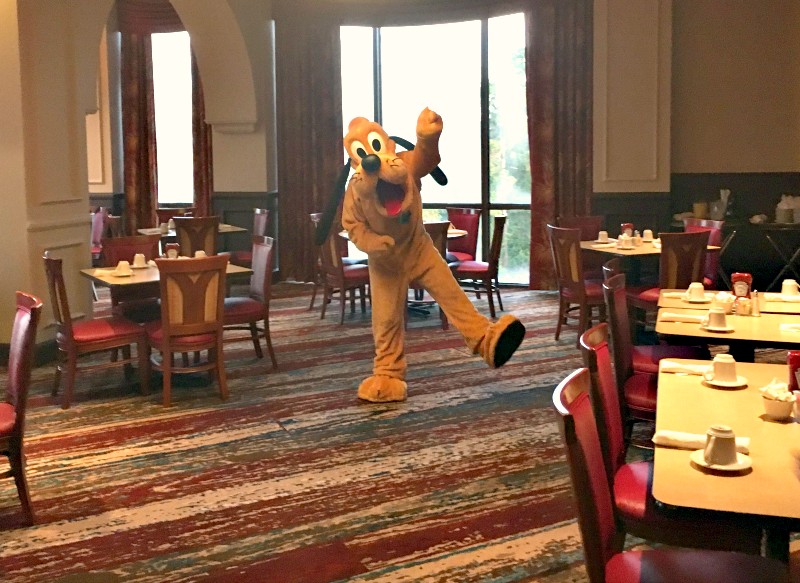 All kids’ programs (ages 3 to 13) feature an afternoon first-time package. Teen group lessons are available though they meet in the adult lesson area. 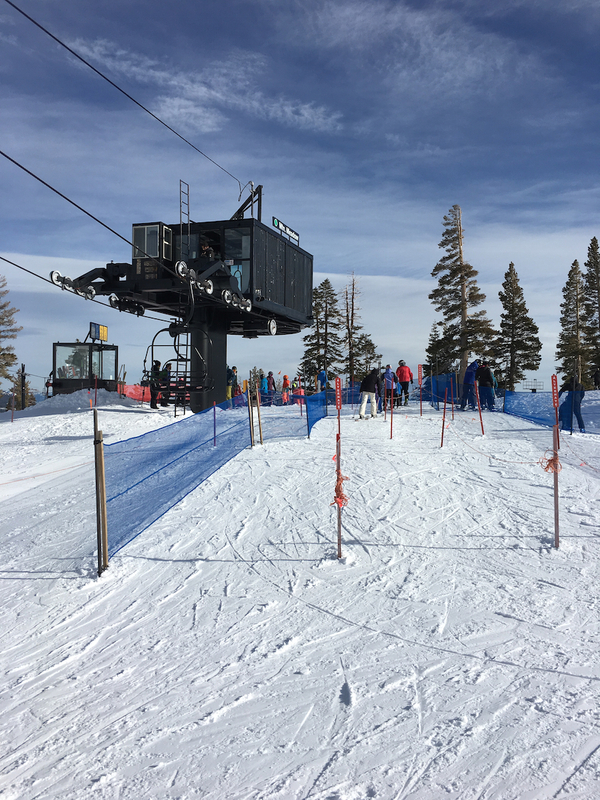 Squaw Valley features a couple of programs geared towards Moms looking to move up the mountain. 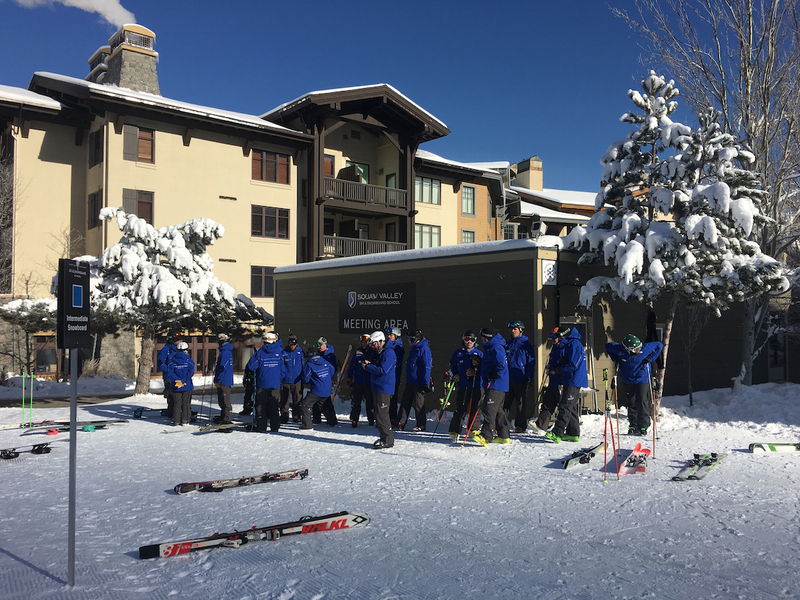 For blue or black-level skiers, the 3-day Women of Winter Camp or the Women of Winter one-day clinic is available. Looking for a guide to showcase the best that Squaw Valley offers? A non-instructional guide and priority lift access allows for more exploring. A complimentary jacket is included and guide services are for blue or black-level skiers. Private lessons accommodate up to four people. Discounts for multiple days are available. 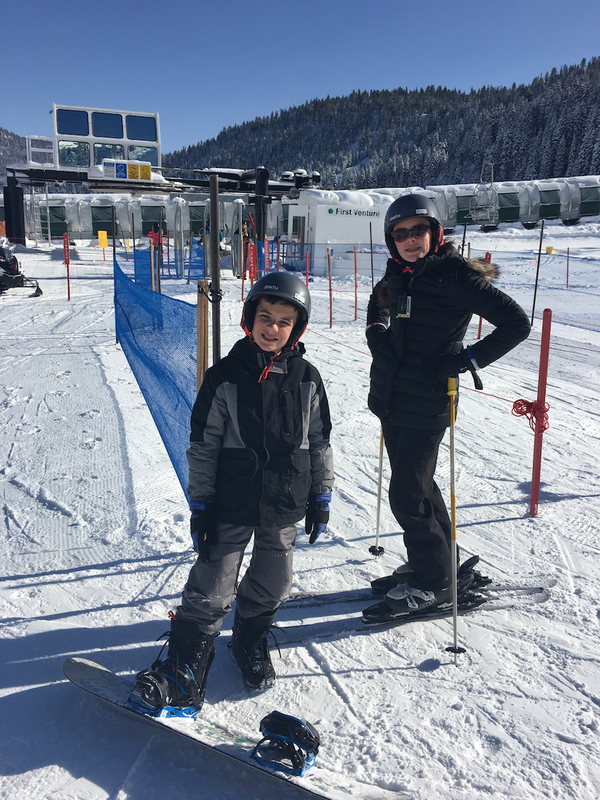 For families with special needs children, Achieve Tahoe offers private lessons for kids with physical, sensory or intellectual challenges with adaptive ski and snowboard equipment and trained instructors. Shortly after my visit, Squaw Valley lost one of its own, Joe Zuiches, a member of the Squaw Valley Ski Patrol. The Ski Patrol of Squaw Valley insures that conditions remain safe and works tirelessly on avalanche control. At the end of a killer day of skiing, I love to grab a bite to eat. 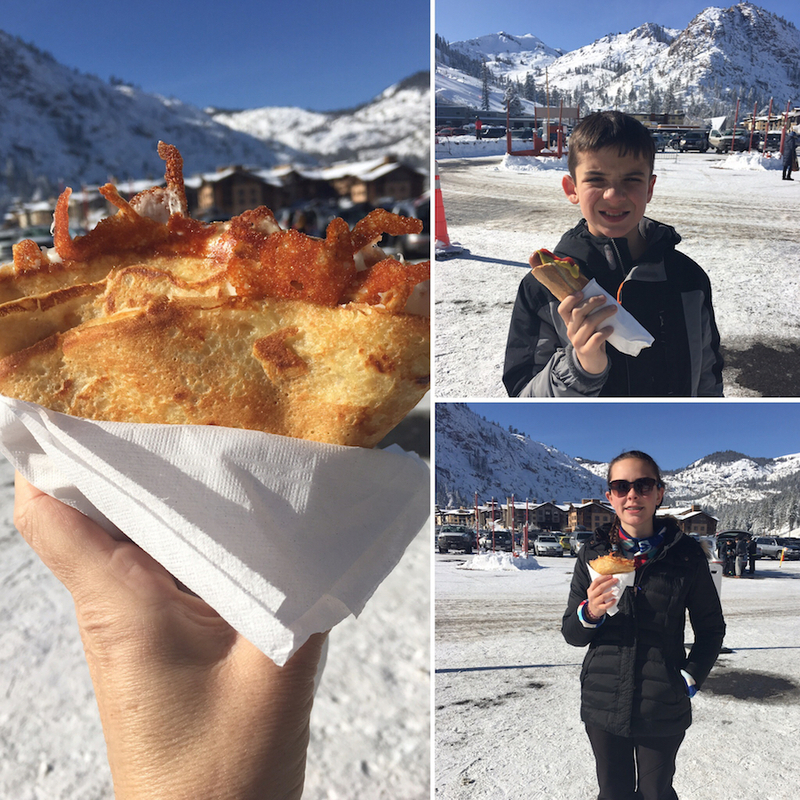 The Village at Squaw Valley offered lots of options for families. 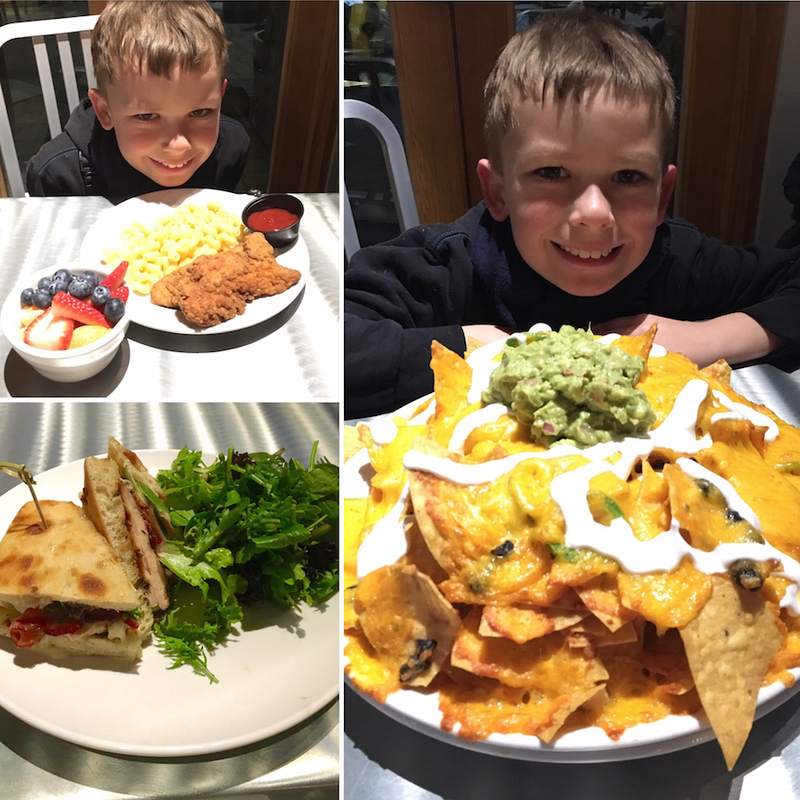 During my visit, we ate at Rocker, where my kids dominated a plate of nachos as big as the state of California. With a little kids’ menu, big kid-pleasing hamburgers, a choice of farm fresh salads, the whole table remained happy. For snacking during the day, I stopped by the Euro Snack trailer for savory and sweet crepes. Of course, I ran into Starbucks for coffee and hot chocolate. I also found pizza, sushi and grill options. For adults looking to unwind, the Auld Dubliner Irish Pub draws a crowd along with several other bars in the Village area. Be sure and visit the World’s first ski-in, ski-out Starbucks located in the Gold Coast Lodge at the top of the Gold Coast Funitel, the only funitel in the U.S.
Squaw Valley’s skiing is not the only thing that’s legendary. Their successful Olympic bid is as legendary as the games themselves. In 1954 Alex Cushing, the chairman of Squaw Valley, read a newspaper article announcing Reno as the possible site for the 1960 Olympic Games. He threw his resort in the mix, boasting only a single chairlift and a couple of rope tows at the time. The place to beat—Innsbruck, Austria, an international favorite. Against all odds, Cushing secured the vote in France. With the help of the State of California and Walt Disney, the infrastructure grew out of the valley virtually overnight. Days before the opening, Squaw Valley lacked the snow it needed. Then a fierce snowstorm blew in from the West and dumped the much-needed snow. As if orchestrated by Walt Disney himself, the head of pageantry, the clouds cleared moments before the official start of the Olympic Games. Moments later Walt Disney’s 2,000 doves rose into the air signaling the start of the 10-day long games. Be sure to walk through the Olympic Museum at High Camp. My kids loved the Olympic podium. Taking the entire family skiing requires more than a few lift tickets. Squaw Valley Ski Resort offers a village packed full of fun for everyone on a family ski getaway, not just the skiers. SkyJump Trampoline for the kids. Squaw Valley Ski Resort is located at 1960 Squaw Valley Road, Olympic Valley, California. Squaw Valley is 12 miles south of Truckee, California, along California Highway 89. Tahoe City, California, a quaint mountain town on the western shores of Lake Tahoe is 10 miles away. If flying into Reno-Tahoe International Airport (RNO) to visit Lake Tahoe, Squaw Valley is 48 miles from the Reno-Tahoe International Airport via Interstate 80. Reservations for lessons are required during holiday breaks and long weekends. Ski School sells out. Arrive early to ski school to allow for smooth transition. 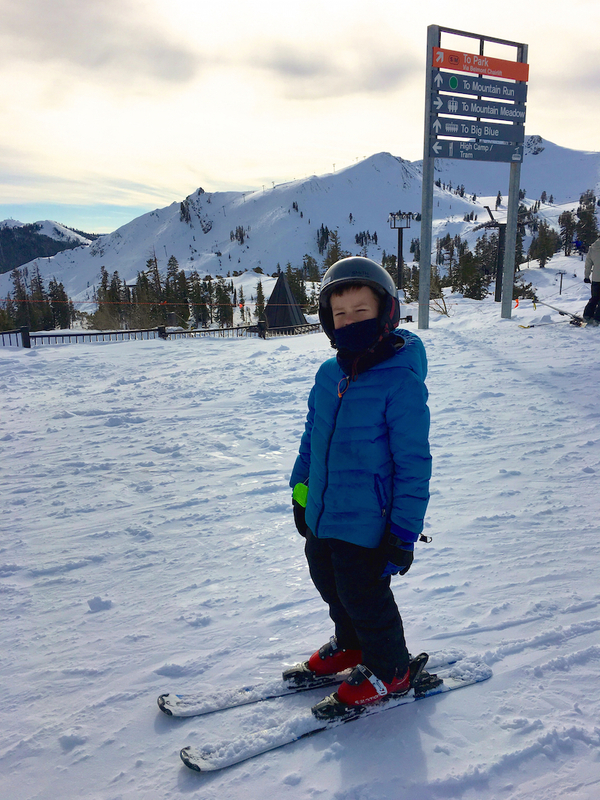 Kids helmets are mandatory in Squaw Valley’s Ski and Snowboard School. Pack lip balm, googles, a small snack, and an extra set of gloves. Kids in ski school (ages 3 to 13) will ride ski lifts when they can turn and stop. Pack a bag of marshmallows and a couple of roasting sticks, I found several fire pits, perfect for an après-ski snack. Before heading out check out road conditions at NVroads.com for tire chain requirements. 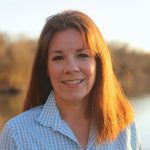 I use Nevada’s website for the Lake Tahoe region since it’s easier to use on a mobile device than California’s website.